From the Western Slope to the central Rocky Mountains to the Denver foothills, mountain bikers have their choice of thousands of miles of beautifully crafted trails and trail systems to savor. In the following article we will explore five family friendly mountain bike rides in Colorado. For a more advanced bike ride for kids in Colorado, check out the write-up on Prospect Trail in Telluride. About 20 miles east of the Utah state line is the Western Slope’s mountain biking mecca of Fruita. There are a few great trail systems in the area but be sure to stop for some laps along the Bookcliffs at 18 Road. 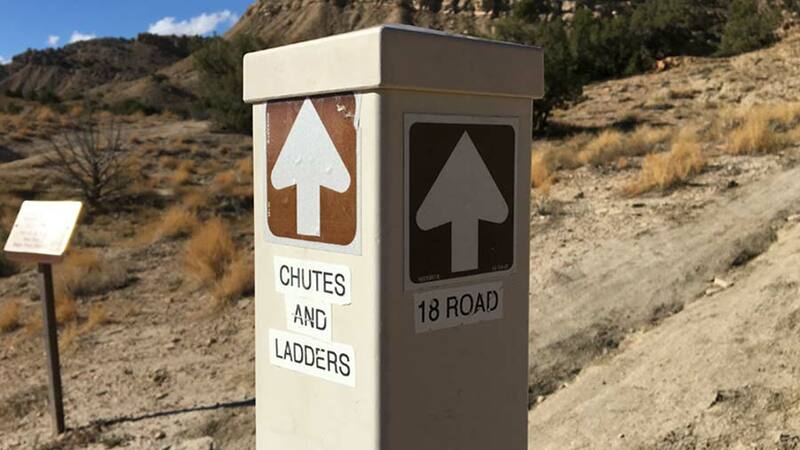 With trail names like Chutes-and-Ladders, Zippity-Do-Da, MoJoe, and PBR (pumps, bumps, and rollers), the singletrack fun is endless. Prime Cut offers an easy 2 mile ascent to most of the downhill goodness. Warm up with the sweeping turns of Kessel Run and then progress to the berms and tabletops of PBR. More advanced riders will enjoy the thrills of the Zippity Loop and the ridge descents. 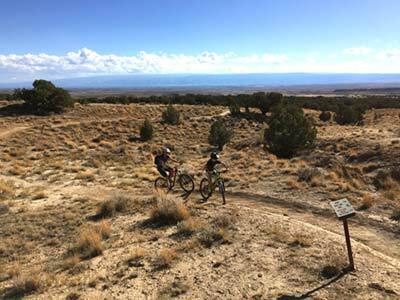 Parking at the upper and lower lots is free so let the bike loose and enjoy the singletrack of the North Fruita Desert. Just east of Cortez in unique Southwest Colorado, nearly 30 miles of pristine singletrack squiggles its way through the arid, high desert. The trails are fast and flowy and will put a smile on the faces of kids and adults alike. There are a handful of loops to choose from, each well marked and ridden in a clockwise direction, so the ride can be as long or as short as desired. Views of the Wilson group mountains abound as riders weave their way through scented Juniper trees and the rollercoaster of undulating buff singletrack. Rib Cage is a must-ride downhill trail with table tops and banked berms that will leave riders wanting more. Parking is spacious and free but be kind and drop a suggested $3/person in the pay box to support the Southwest Colorado Cycling Association’s (formerly the Kokopelli Bike Club) continued and appreciated maintenance of the trail system. 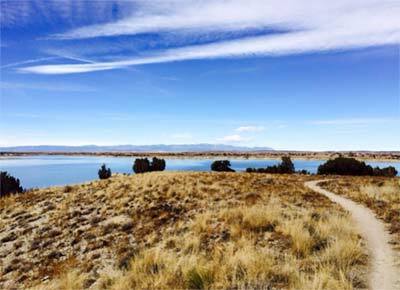 Just off the I-25 corridor in Southern Colorado are 30 miles of singletrack that snake their way in and out of the Pueblo Reservoir coves. Typically an area that doesn’t see much snowfall, this network is usually rideable year round. Most of the trails skirt the mesa overlooking the lake but there are a few slot canyons to explore to test the technical skills. Elevation gain is minimal but the quick ups and downs coupled with miles of twists and turns make this clay shale dirt ride fast and fun. Tiptoeing the bluffs above the water, the tame trails are excellent for beginners and the trail system can be interconnected to create a unique ride every time. Although free parking can be found on the outskirts of the trail system, support the State Park and snag a day use pass at the main trailhead. The foothills Southwest of Denver is home to Waterton Canyon, a truly scenic gorge graced with the South Platte River flowing steadily throughout. 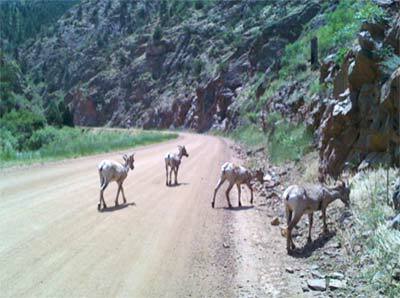 Although more of a service road than a trail, a 12.5 mile out and back ride through the canyon yields itself to the sight of big horn sheep scaling the canyon walls, fly fishermen searching for trout, and water cascading through Strontia Springs dam. This segment is the gateway to the Colorado Trail, a nearly 500 mile stretch of trail threaded from Denver to Durango. A fantastic introduction to mountain biking, this section welcomes all skill levels as the technical and physical aspects are minimal. The ride gradually climbs 1000 ft in the course of 6.25 miles to the dam. Enjoy an easy pedal back to the parking lot! The trailhead parking lot is free and restrooms are nearby. South of Denver is a fairly new trail system just west of Castle Rock. 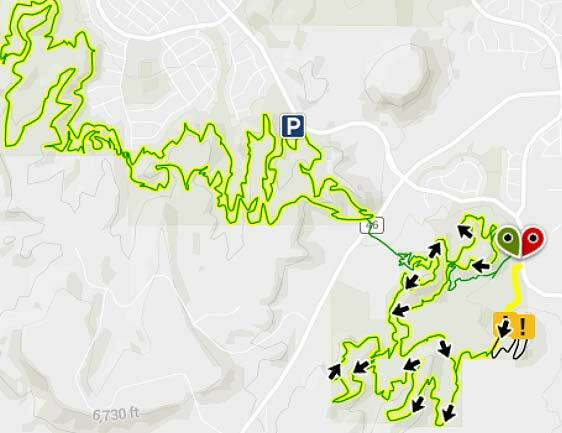 Phillip S. Miller (PSM) and Ridgeline Open Space boast a combined 17 miles of singletrack to enjoy. PSM offers 4 color-coded loops full of quick grunt climbs and short, rippling descents. Although only a moderate amount of elevation is gained, the views from the top of the park display the beauty of Castle Rock’s buttes. A bridge over Wolfensberger Road connects PSM to Ridgeline Open Space where riders can floss the rollercoaster of trails, navigate switchbacks, and let loose on the fun descents. Cresting the ridge offers views of Pikes Peak to the south and Mt. Evans to the north. The network is sign-posted alphabetically at every intersection so it is easy to ride the entire outer loop or bypass letters for a shorter ride. Parking is free at the Coachline Trailhead or the Miller Activity Center. Amy Baumgartner is the creator of The Single Track Beat, a blog devoted to her love of mountain biking. Amy has lived in Colorado for 7 years and has dedicated her free time to exploring the state’s singletrack. She and her husband are travelers and adventure internationally in search of the best mountain biking in the world.